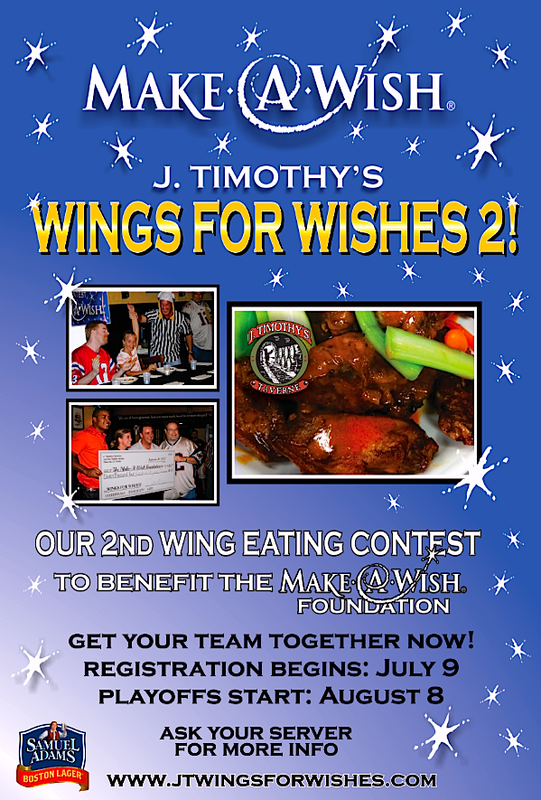 Announcing: Wings For Wishes 2! 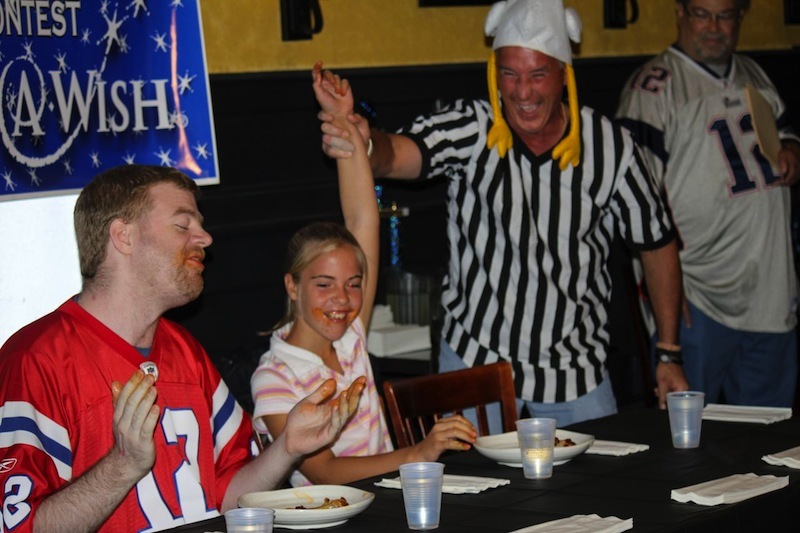 J. Timothy’s Taverne and the CT Chapter of the Make-A-Wish Foundation are very excited to announce the 2nd Wings For Wishes chicken wing eating contest. Last year’s inaugural event raised over $11,000, which allowed Make-A-Wish to grant a child’s wish. Read about that here. This year’s competition will begin on Thursday, August 8th with the first Playoff. Playoff rounds continue on August 14th and 15th, culminating with the Championship on Thursday, August 22nd. The event last year was incredible fun; the dedication of the teams and their supporters ensured a successful competition with one goal: make a kid’s wish come true. Done! Now, let’s do it again this year. All of the details can be found in the sections at the top of this page (on a mobile phone, choose MENU). Grab your friends, family, and/or co-workers and form a team. Team registration begins on Tuesday, July 9th. Thanks for your support of Make-A-Wish and J. Timothy’s. Get ready to eat some wings and grant a child’s wish!